Search Engine Optimisation (SEO) is a great tool for digital marketers – if done well, it can deliver highly targeted traffic directly to the best page on your website. Where are you right now? The first step is to work out what company you keep on the first page of your search results. To do this, you should work out which keywords which you would like to rank highly for. Start here to see if you have a problem. Other domains? Wait, you’ve already got one domain and that’s enough to keep you busy, right? Well, it might just be worth your while. If you can get a different domain to rank for your keywords, then this should push your negative results further down the search results. So, get a domain whose name is similar to the keywords which you are looking to work on, and start writing a blog (where you can, you should include content which contains any negative keywords) – and make sure that you write regularly. Your feedback? You should encourage reviews for your product or service. Not only the right thing to do, but can also work from an SEO perspective. Another option you should investigate is to give the customer an option to feedback to you on your own website. Can Social Help? Google has a very complex algorithm which no-one outside Google fully understands, but we do know that the major social networks rank well on Google and other search engines. So get your social networks set-up, posted on regularly and linking back to your site. Every social network has a different way of optimizing for search results, so make sure that you are set-up correctly. Can Google Help? Well, yes they can, but only as a last resort. Requesting a removal from Google is a complex process, and in some occasions, Google will require a legal judgment in your favor before they can act. Very messy and only to be tried if all else fails (it won’t!). 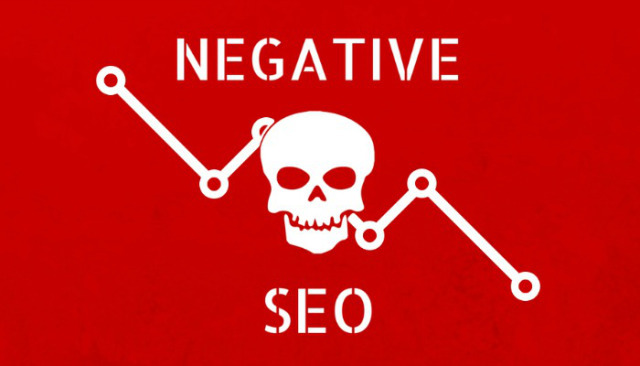 Have you ever experienced negative search results? Did you use one of these tactics or did you take a different approach? This article originally appeared in Justin Wilson. This article was written by Justin Wilson from Business2Community and was legally licensed through the NewsCred publisher network. Please direct all licensing questions to legal@newscred.com.